Not wanting to take over Freds' very clean build of his Flying Jeep from the Helicopters Folder, I figured I would post this here. Sorry Fred, I did like your build very much and this was another one of those aircraft that I could only come close to comparing it to. Early in WWII as the Germans were running through France and the low countries faster than anyone would have thought possible, Great Britan stood isolated by the English Channel. As her military considered their options a great many ideas were brought up and considered to aid in a time of what most thought was to be an already lost situation. Arming the Home guard with Pikes from the Royal Armoury that has last seen service more than a few hundred years before to an aircraft carrier made out of an iceberg were just some of the bits of advanced thinking. 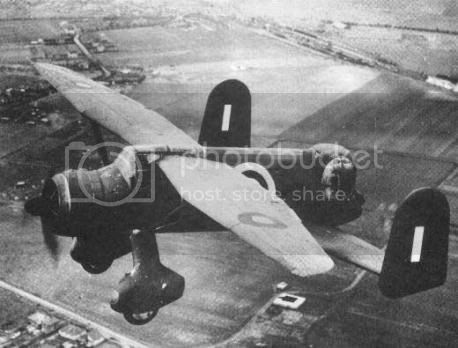 One of these ideas was to utilize an already proven aircraft design, the Lysander, to a somewhat more aggresive role than what it was originally intended for. As events turned with the entry of the US into the war, Lend Lease, and a lot of luck, this project was relagated to the back burner and rightfully so. The idea was to add a power operated four gun turret to the tail end of an enlarged tail surface with twin rudders to a Lysander. This was necessary to even allow the aircraft to take to the air with the added weight of a power operated turret, four .303 Machine Guns and enough ammo to make the whole thing somewhat dangerous. They did make a couple of them and yes they actually flew. The added weight involved as well as the cumbersome flying characteristics of such a critter would have made going aloft in such a craft purely suicidal. The theory was that it would have been able to leisurely cruise a landing beach and with all that firepower take out the enemy enmasse. Of course, they didn't really take Me 109s, FW 190s, or even Me 110s into this equation, any of which would have made rather short work of such a craft. Even so, I doubt that they would have had to look very far for volunteers as courage was in strong supply in those days as is evidenced by the events of the period. Its' official designation was the Lysander P12, and yes, it did indeed fly, a few times. So you can all add this one to the Weird and Strange list of aircraft that you have seen, its' like will probably never take to the skies again, thank goodness. Thats wacky! But, imagine what a punch! I had seen this beast before but did not realize its lineage was from the Lysander. But of course now I can see it. 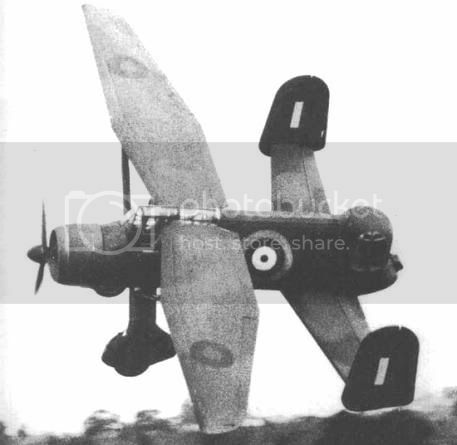 The Lysander would be nice to see done up in the FG style. Can you imagine what it must have been like for the pilot when the guns were fired to the rear? I bet you picked up 10 knots just from the recoil. I thought you all might like a glimpse at something a bit odd. As to picking up airspeed when fired to the rear, imagine the "English" required when the guy in the turret decided to liberally spray an area by letting fly with all four and panning the turret around in arcs.